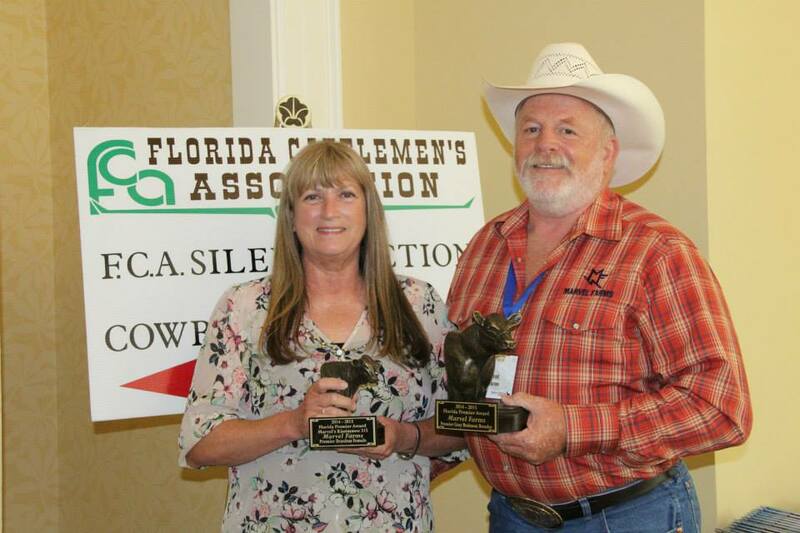 Dan and Sandra Marvel of Marvel Farms in High Springs were recently recognized at the 2015 Florida Cattlemen’s Convention. They received the 2014-2015 Florida Premier Award for Premier Brangus Female, Marvel’s Kissimmee 513. Further recognition came as they were named the 2014-2015 Premier Brangus Breeder. Congratulations!